When you first bring home a kitten, and throughout the process of fostering, it's a good idea to examine her general health. While a veterinarian will need to do more intensive exams, any caregiver can do a basic examination of a kitten's general health. Here's what to look for when examining a kitten. Kittens cannot regulate their own body heat; it's therefore critical that the kitten be kept at a safe temperature. If you know that a kitten has been exposed to very cold temperatures, such as being found in the snow, be aware of the risk of hypothermia. Likewise, a kitten that is found on hot pavement in July may be at risk of hyperthermia. In either case, know that it is extremely dangerous to feed a kitten who is too hot or too cold. The kitten's body temperature must be gradually brought back to a safe temperature before proceeding with care. 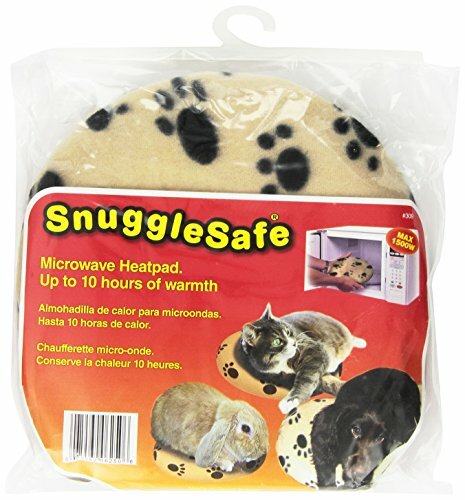 Kittens should be kept warm with a gentle heating disk or heating pad throughout the first month of life. Read about the developmental stages of kittens to determine the right temperature for your kitten's environment. While newborn kittens will sleep for the majority of the day, they should still be responsive active when awake. Lethargy is not normal for kittens and if a kitten appears unresponsive or especially low-energy, this indicates a medical issue that will need to be addressed. Even a kitten with eyes closed should be alert when handled; they should be squirmy and vocal. A healthy kitten will have a full, rounded face and a plump belly that is soft and pliable. The ribs and bones of the kitten should not be easily seen. Kittens who appear gaunt or frail may have emaciation or muscle wasting, and will need to be treated medically to help them gain fat and muscle. Fur should be soft, clean, and free of dirt, bugs, or residue. Caregivers should look for fleas or flea dirt, which will appear as tiny black flecks in the skin and fur. The ears should be clean and free of any black wax or crust, which may indicate ear mites. The eyes and nose should be free of discharge or crust. Discharge is a sign of a respiratory infection and may require an oral and/or ophthalmic antibiotic. The gums should be pink and wet, and the capillary refill time should be swift. White or dry gums are a sign of low blood sugar, which can cause listlessness or even death in kittens. Hypoglycemic kittens should be provided with sugar (such as Karo syrup or Dextrose 50%) and brought to a vet if symptoms are severe or persistent. The body should be well hydrated. The eyes should be bright and wet, and the nose should be moist. The skin should be elastic and pliable. To test for hydration, lightly pinch the skin on the back of the kitten's neck, lift an inch, and let go. The skin should quickly return to its place; if it does not, the kitten may be dehydrated and may require oral or subcutaneous fluids. The body should be free of any wounds, injuries, abscesses, or mutations. If these issues are present, seek treatment immediately to avoid any risk of infection or worsening of symptoms.